In the movie “Thor: Raganorik,” Thor’s hammer gets smashed and Thor thinks he can’t access his power anymore. His father Odin asked Thor this not exact quote, “Are you the god of hammers, or the god of thunder?” At that point, Thor realizes for the first time he doesn’t need his hammer to showcase his power. Well, guess what? I know God intertwines His strength into all of us, and I can access it whether or not I’m a mom. But motherhood has been an essential tool to help me unleash all God put inside of me. Motherhood challenges me in hard but empowering ways. It unearths sides of me I didn’t know I had. It gives me the confidence to be creative, resourceful and… For. The. Love. … Just keep going when it’s all foggy and unclear. Motherhood helps me see the sacredness and impact of ordinary moments. I’ve been a mom for twelve years. (Though I’m still 24. Miraculously.) With each passing year, I’ve learned more about myself and grown in powerful, unexpected ways. My background is teaching: master’s degree in Educational Leadership, high school teacher, ran a tutoring business from my home the six years I was a stay-at-home mom, currently an academic and career counselor for our high school’s E3 STEM program. So, lessons pop out at me and I can’t even help but shape them to share. It’s like a reflex. It’s weird…but useful. What really makes people happy. Then – beware extreme selfish comment coming – as I connect with my family through these lessons, I realize that I continue to grow my mental toughness and general grit, in even more surprising and beautiful ways. I think that’s called – two birds, one stone. It’s for sure a win-win. This journey of seeking encouragement and sharing it with my kids empowers me to keep going. To live life to the fullest. To step out in faith. To be the best I can be. I want it to empower you, too, no matter what phase of motherhood you are in (babies to adult children to grandbabies.) I want to help you walk with confidence. See things from a different angle. Find joy. Follow your heart – reach for your dreams. And point your kids and grandkids there too. Get 10+ empowering printables and 2 eBooks when you sign up for my once-a-month email list. I’d love to stay connected with you. Also, I’d love for you to follow Empowered Moms and Kids on Facebook – let’s do this life-thing together! Me and my crazy crew. 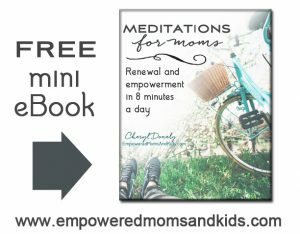 Please know, I have affiliate links throughout Empowered Moms & Kids. Also, I’m a participant in the Amazon Services LLC Associates Program, an affiliate advertising program for sites to earn advertising fees by advertising and linking to Amazon.com. I receive a small commission at no additional cost to you. (Disclosed in compliance with FTC Regulations.) Also, I sell doTERRA products for a profit on my blog. 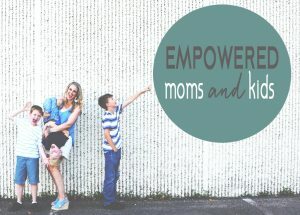 Empowered Moms & Kids was formerly called Since I Became a Mom. Mamamia Women’s Network (Australia): To Every Mother of Boys: You Can Count Yourselves Lucky. MomSense Magazine May/June 2009: I Need Friends! *MomSense Magazine is a publication of MOPS International. The name has changed and the magazine is now called Hello Darling. parenting.com – check it out here. Equipping Godly Women – check it out here. Beautiful Ashes – check it out here. Skipping Sideways – check it out here. Our bathroom remodel was featured here on the amazing Remodelaholic blog. Get empowerment in your inbox!